Final Fantasy VII Remake[b] is an upcoming action role-playing game developed and published by Square Enix for the PlayStation 4. It is a remake of the 1997 PlayStation game Final Fantasy VII, retelling the original story following mercenary Cloud Strife as he and eco-terrorist group AVALANCHE battle against the corrupt Shinra megacorporation, and the rogue former Shinra soldier Sephiroth. Gameplay is planned to be a fusion of real-time action similar to Dissidia Final Fantasy and other strategic elements, and will be released as a multipart series. Rumors and demands for a remake of VII existed for many years, but multiple reasons were given for why the project was not being developed. Four key original staff members returned to help with Remake: original character designer Tetsuya Nomura returned as both director and main character designer, original director Yoshinori Kitase acted as producer, Kazushige Nojima returned to write the script, and composer Nobuo Uematsu is also involved. The decision to release Remake in multiple parts was taken so the team did not have to cut any of the original content. They also decided to add new content and adjust the original character designs to balance between realism and stylization. Final Fantasy VII Remake, which retells the story of the original game, follows Cloud Strife, a former Shinra soldier who joins the AVALANCHE eco-terrorist group as a mercenary to fight against the Shinra corporation, who have been draining the planet's life energy, only to become involved in something much bigger. Unlike ports of the original game released for computers and other high-definition platforms, the game is a full remake built from the ground-up, featuring full polygonal graphics as opposed to the pre-rendered environments of the original. Footage shown at PlayStation Experience 2015 demonstrated both exploration and battle mechanics, which both take place in real-time like Final Fantasy XV. Unlike the 'Active Time Battle' system of the original, the remake appears to use a real-time battle system similar to the Kingdom Hearts series, which allows players to freely control Cloud or one of his allies as they use their respective weapons to attack enemies. Players will also be able to use magic and summons, and a Limit Break gauge allows characters to perform more powerful attacks once charged. 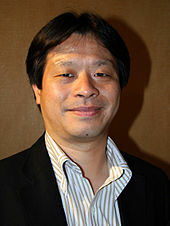 Producer Yoshinori Kitase stated that while the game has more real-time elements, there would still be strategic elements, such as selecting weapons and magic for each character to wield. 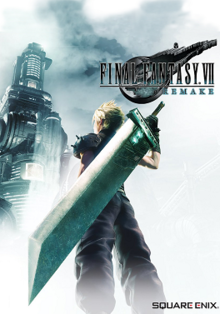 Final Fantasy VII was developed by Square (later Square Enix) for the PlayStation home console. Beginning its development in 1994 as a Nintendo project before transferring onto the PlayStation, its main staff included producer and series creator Hironobu Sakaguchi, director and co-writer Yoshinori Kitase, artist Yusuke Naora, character designer Tetsuya Nomura, and scenario writer Kazushige Nojima. Released in 1997, the game received both contemporary and lasting critical acclaim, became the best-selling title in the Final Fantasy franchise with over 11 million units sold worldwide, and established the Final Fantasy series as a major franchise. VII was later expanded upon through the multimedia project Compilation of Final Fantasy VII, headed by Kitase and Nomura. Demands for and rumors of a remake grew in the wake of both a PlayStation 3 tech demo that was shown at the 2005 Electronic Entertainment Expo, showcasing the opening of VII with the company's new Crystal Tools engine, and the game's impending tenth anniversary in 2007. On both occasions, it was stated by Square Enix staff that no remake was in development. Despite continued demands and rumors spread by staff messages within the Compilation titles, various reasons were given for why a remake was not being developed: these reasons included wanting a contemporary title to best the sales and popularity of VII; the wish to focus on new titles; the necessity of deleting parts of the original game to make the project manageable; the difficulty of developing on hardware such as the PlayStation 3; and the required development time being overly long. A remake was initially attempted in the early 2000s, when the company announced a remake for PlayStation 2 alongside Final Fantasy VIII and IX, but nothing further was heard of these projects. The main reason attempts had failed was because remaking VII on current hardware would be a "massive" undertaking, and if kept within a single installment would require heavy cutting of content. Another reason cited was that the staff were preoccupied with developing Final Fantasy XIII and its sequels, and Remake would have been an equally large or larger project hard to undertake at the same time. Once the XIII series ended, the team were free to pursue other projects. The Remake project finally began when Final Fantasy producer Shinji Hashimoto broached the subject to Kitase, Nojima and Nomura. All three were reaching a stage of life that they defined as "that age": all felt that if they waited much longer, they might not be alive to or would be too old to develop a remake of VII, and passing the project on to a new generation did not feel right. Another reason for developing the title was that Square Enix was creating a growing library of PlayStation 4 titles, and the team hoped to increase the console's popularity. A notable absence from the originally announced team was Nobuo Uematsu, who composed the original music for VII. Kitase later revealed that Uematsu was working on the game's music in an undisclosed role. It was the first time Uematsu and Kitase had worked together since the release of Final Fantasy X, and Kitase initially thought Uematsu would refuse as he had long since left Square Enix and found success as an independent composer. The game reached the full development stage by late 2015. Production of Final Fantasy VII Remake is being handled by Business Division 1, an internal production team at Square Enix. While Nomura was involved with the project from the start, he only discovered he was the director after seeing himself credited in an internal company presentation video, as he had expected Kitase to fill the role. He revealed that Kitase himself thought Nomura expected to become director. Nomura worked as director for both Final Fantasy VII Remake and Kingdom Hearts III. Despite there already being a story in place, which greatly simplified production on some fronts, Nojima was brought back in to create new story material. Another project leader was Naoki Hamaguchi, who had previously served as programmer for Lightning Returns: Final Fantasy XIII and project lead for Mobius Final Fantasy. While the team had the option of simply creating a remastered version of VII with better graphics as many fans had requested, they noted that its graphics and many of its mechanics had become dated by modern standards. With this in mind, they decided to do a full remake, rebuilding the game systems to suit modern tastes and using current gaming technology to recreate the world of VII. This decision triggered the creation of Remake's action-based battle system, in addition to the most representative modern title for the Final Fantasy series being the 2009 fighting game Dissidia Final Fantasy. With this in mind, the battle system will draw from that action-based style while not going over to an entirely action-based system. The battle system is being handled by Nomura and Mitsunori Takahashi, the latter of whom had worked on both the Kingdom Hearts series and Dissidia 012 Final Fantasy. One of the game designers was Kyohei Suzuki, a veteran of the company's Business Division 4 who had previously worked as a planner for Kingdom Hearts 358/2 Days and Kingdom Hearts Coded. The team's aim was to retain all the original gameplay mechanics that were well liked by players. While developing the scenario, the team needed to work carefully so the game did not come over as too nostalgic. They also needed to take decisions about what could be carried over from the original and what needed adjustment due to changes in social norms since the original's release, in particular a scene where Cloud cross-dressed as a woman as part of an infiltration mission. The team were also planning to include references to events detailed in the Compilation titles, though what form these references will take and their scope is still under consideration. Nomura later clarified that, as of early 2017, Remake did not share a direct continuity with the Compilation. The scenario for the first installment was completed in December 2015. The game will be fully voiced, and the plan is for the voice actors from the CGI movie Final Fantasy VII: Advent Children to reprise their roles, although not all of them have been asked yet and characters who were limited to cameo appearances such as Red XIII may be recast. The subtitle "Remake" was included to differentiate the game from its 1997 original. It was originally going to be story-related, but the team did not want to give the impression that it was a sequel or spin-off. Rather than using the character models and graphical style of Advent Children, which by that point had been developed using ten-year-old technology, the team decided to create new designs and models for characters: Nomura wished to balance the realism of Advent Children with deformed stylization. Nomura is in charge of the revamped main character designs, while designer Roberto Ferrari is in charge of designs for secondary characters. Character modelling is being supervised by Visual Works, Square Enix's CGI development branch. Rather than developing their own engine, Square Enix licensed Epic Games' Unreal Engine 4 to develop the game, with Square Enix and Epic Games Japan working together to optimize the engine for Remake. The team also received technical assistance from the developers of Kingdom Hearts III, as the latter game is being developed using the same engine. The game's lighting is augmented with "Enlighten", a lighting engine licensed from software company Geomerics. To help with the action gameplay and video quality, Square Enix originally partnered with video game developer CyberConnect2: while their expertise was appreciated, the two companies needed to keep in close contact due to very different development styles. In 2017, the game's development focus shifted from being developed with external partners to being a primarily internal project. One of the biggest changes was the fact that the game was planned as a multi-game release: according to Kitase, this was because trying to fit the game onto a single release would entail cutting large parts of the game, which went against the team's vision. By splitting the game into multiple parts, the team were able to give players access to areas in the game, such as within the city of Midgar, inaccessible in the original. Each game is planned to be on a similar scale to Final Fantasy XIII. Rumors about Square Enix beginning development on a remake appeared in 2014, apparently coming from an industry insider source. Remake was officially announced at the 2015 Electronic Entertainment Expo (E3) during the PlayStation conference: the announcement received a standing ovation from the audience. The announcement trailer was created by Visual Works. Square Enix's stock prices rose in the wake of the announcement to their highest rating since November 2008, and the YouTube release of the reveal trailer garnered over 10 million views within the following two weeks. It was next showcased at the 2015 PlayStation Experience, which showcased cutscenes and gameplay from the opening sequence of VII. During the Final Fantasy 30th anniversary opening ceremony event hosted by Square Enix in Tokyo on 31 January 2017—the 20th anniversary of Final Fantasy VII—the game's first CGI key visual was unveiled, along with announcements for a collaboration event with Mobius Final Fantasy. On 18 February, Nomura revealed and discussed two new screenshots of the game, showing off the game's updated HUD. While he wanted to show video footage, Square Enix denied his request. Due to its lack of footage since 2015, switch to internal development and other projects Nomura was involved in, there were concerns about the status of the project. Speaking following E3 2018, Nomura stated that the game was in active development, with his full attention being shifted to it when Kingdom Hearts III was completed. ^ Primary development by Business Division 1. Additional work by Geomerics and Epic Games. ^ a b c d Romano, Sal (29 May 2017). "Final Fantasy VII Remake development shifts from external cooperation to internal focus". Gematsu. Gematsu. Archived from the original on 29 May 2017. Retrieved 29 May 2017. ^ a b Romano, Sal (7 December 2015). "Final Fantasy VII Remake uses Unreal Engine 4". Gematsu. CraveOnline. Archived from the original on 10 April 2016. Retrieved 5 May 2016. ^ a b Grubb, Jeff (6 July 2016). "Square Enix, Geomerics make Enlighten lighting-tech pact after bright results in FFVII Remake". VentureBeat. VentureBeat. Archived from the original on 7 July 2016. Retrieved 7 July 2016. ^ a b Schreier, Jason (5 December 2015). "The Final Fantasy VII Remake Is Looking Hot". Kotaku. Gawker Media. Archived from the original on 7 April 2016. Retrieved 7 December 2015. ^ a b "Final Fantasy VII Remake's Kitase Discusses Game's Battle System in Video". Anime News Network. 6 December 2015. Archived from the original on 1 April 2016. Retrieved 7 December 2015. ^ a b Stanton, Rick (2 June 2013). "Final Fantasy 7 retrospective - The game that killed Squaresoft". Eurogamer. Gamer Network. Archived from the original on 26 March 2016. Retrieved 5 May 2016. ^ "The Making Of: Final Fantasy VII". Edge. Future plc (123): 108–113. May 2003. Archived from the original on 9 May 2012. ^ Yip, Spencer (19 August 2015). "Final Fantasy VII Has Sold Over 11 Million Units Worldwide". Siliconera. Curse, Inc. Archived from the original on 24 March 2016. Retrieved 26 March 2017. ^ Kohler, Chris (24 September 2004). "More Compilation of Final Fantasy VII details". GameSpot. CBS Interactive. Archived from the original on 17 October 2015. Retrieved 10 August 2006. ^ Allen, Jason (16 May 2005). "E3 2005: Eyes-on the Final Fantasy VII Tech Demo". IGN. Ziff Davis. Archived from the original on 20 February 2006. Retrieved 16 July 2008. ^ Orry, James (5 June 2007). "Final Fantasy VII remake isn't happening". VideoGamer.com. Candy Banana. Archived from the original on 3 March 2016. Retrieved 7 December 2015. ^ Dunham, Jeremy (23 May 2006). "Square Enix Responds to PS3 FF7 Rumors". IGN. Ziff Davis. Archived from the original on 1 March 2013. Retrieved 7 December 2015. ^ Nunnaley, Stephany (20 February 2010). "Kitase: Final Fantasy VII to be remade only if takes a year to do so". VG247. VG247. Archived from the original on 20 September 2015. Retrieved 5 May 2016. ^ Hillier, Brenna (26 June 2012). "Wada: Final Fantasy VII remake would kill franchise". VG247. VG247. Archived from the original on 11 September 2015. Retrieved 5 May 2016. ^ Gantayat, Anoop (16 May 2012). "Nomura: New Titles Take Priority Over Final Fantasy VII Remake". Andriasang. Andriasang.com. Archived from the original on 4 April 2016. Retrieved 5 May 2016. ^ Evans-Thirlwell, Edwin (28 November 2011). ""If I remade Final Fantasy VII, I'd be tempted to delete things" - FFXIII-2 producer". Official Xbox Magazine. Future plc. Archived from the original on 30 November 2011. Retrieved 5 May 2016. ^ Pigna, Kris (21 February 2010). "FFVII Remake 'Looking Pretty Unrealistic'". 1UP.com. Ziff Davis. Archived from the original on 23 January 2012. Retrieved 7 December 2015. ^ Sato, Yukiyoshi Ike (30 October 2013). "Final Fantasy remakes sold separately". GameSpot. CBS Interactive. Archived from the original on 30 October 2013. Retrieved 27 October 2016. ^ Eugene (26 October 2013). "Square Enix Once Promised Final Fantasy VII, VIII And IX Remakes". Siliconera. Curse, Inc. Archived from the original on 16 May 2016. Retrieved 18 November 2016. ^ a b c d e f Romano, Sal (7 December 2015). "Final Fantasy VII Remake details: reason for multi-part release, CyberConnect2 collaboration, more". Gematsu. CraveOnline. Archived from the original on 10 April 2016. Retrieved 7 December 2015. ^ a b c d e f Juba, Joe (11 April 2016). "10 Questions And Answers About The Final Fantasy VII Remake". Game Informer. GameStop. Archived from the original on 20 April 2016. Retrieved 5 May 2016. ^ Robinson, Martin (17 June 2015). "Final Fantasy 7 remake was underway before the PS4 PC port was announced". Eurogamer. Gamer Network. Archived from the original on 16 April 2016. Retrieved 5 May 2016. ^ a b c Sato (19 June 2015). "Why Square Enix Decided To Finally Make The Final Fantasy VII Remake". Siliconera. Curse, Inc. Archived from the original on 7 April 2016. Retrieved 5 May 2016. ^ Romano, Sal (7 November 2015). "Nobuo Uematsu not working on Final Fantasy VII Remake". Gematsu. CraveOnline. Archived from the original on 10 April 2016. Retrieved 5 May 2016. ^ Sato (14 May 2018). "Nobuo Uematsu Confirmed To Be Working On Music For Final Fantasy VII Remake". Siliconera. Curse, Inc. Archived from the original on 14 May 2018. Retrieved 14 May 2018. ^ a b c d Romano, Sal (21 December 2015). "Final Fantasy VII Remake staff discuss voiced dating scenes, mini-games, more". Gematsu. CraveOnline. Archived from the original on 10 April 2016. Retrieved 5 May 2016. ^ Saed, Sherif (25 May 2017). "Square Enix is hiring for the Final Fantasy 7 Remake". VG247. Videogaming247 Ltd. Archived from the original on 25 May 2017. Retrieved 29 May 2017. ^ a b Farokhmanesh, Megan (14 June 2018). "Kingdom Hearts III's director says he's putting equal effort into Final Fantasy VII Remake". The Verge. Vox Media. Archived from the original on 14 June 2018. Retrieved 15 June 2018. ^ a b Romano, Sal (2 February 2017). "Final Fantasy VII Remake producer Yoshinori Kitase talks progress and more in Weekly Famitsu". Gematsu. CraveOnline. Archived from the original on 2 February 2017. Retrieved 4 February 2017. ^ 『ファイナルファンタジーXV』開発オフィスに興味津々！総合学園ヒューマンアカデミー実施「スクウェア・エニックス社内見学会」に同行 (in Japanese). Inside Games. 16 December 2016. Archived from the original on 18 December 2016. Retrieved 23 May 2018. ^ "MAGIC 2017 : Interview Tetsuya Nomura (ENG)". Finaland. Finaland. 26 February 2017. Archived from the original on 7 March 2017. Retrieved 7 March 2017. ^ a b c Romano, Sal (15 December 2015). "Final Fantasy VII Remake part one scenario complete [Update]". Gematsu. CraveOnline. Archived from the original on 12 February 2016. Retrieved 5 May 2016. ^ Cook, Dave (24 February 2014). "Final Fantasy 7 remake is happening, according to insider – rumour". VG247. VG247. Archived from the original on 10 September 2015. Retrieved 5 May 2016. ^ Brown, Peter (16 June 2015). "Final Fantasy 7 Remake Announced by Sony at E3 2015". GameSpot. CBS Interactive. Archived from the original on 12 January 2016. Retrieved 5 May 2016. ^ Gotsuki, Aki (18 June 2015). ［E3 2015］「人喰いの大鷲トリコ」「シェンムーIII」，リメイク版「FFVII」など，話題作をSCE吉田修平氏が語る. 4Gamer.net. Aetas Inc. Archived from the original on 8 December 2015. Retrieved 5 May 2016. ^ Moser, Cassidie (16 June 2015). "E3 2015: Final Fantasy 7 Remake Boosts Square Enixs Stock". IGN. Ziff Davis. Archived from the original on 19 June 2015. Retrieved 5 May 2016. ^ Leack, Jonathan (30 June 2015). "FFVII Remake Trailer Surpasses 10 Million Views, By Far Most Popular E3 2015 Video". Game Revolution. CraveOnline. Archived from the original on 10 September 2015. Retrieved 5 May 2016. ^ Kamen, Matt (5 December 2015). "Final Fantasy VII Remake steals the show at Sony's PlayStation Experience". Wired. Condé Nast Publications. Archived from the original on 12 December 2015. Retrieved 5 May 2016. ^ "Square Enix Kicks off Final Fantasy 30th Anniversary Celebration". Gamasutra. UBM TechWeb. 31 January 2017. Archived from the original on 4 February 2017. Retrieved 4 February 2017. ^ Romano, Sal (8 February 2017). "New Kingdom Hearts III and Final Fantasy VII Remake screenshots shown at MAGIC 2017". Gematsu. CraveOnline. Archived from the original on 7 March 2017. Retrieved 19 February 2017. ^ O'Conner, James (15 June 2018). "The Final Fantasy 7 remake skipped E3, but it's still in active development". VG247. VG247. Archived from the original on 15 June 2018. Retrieved 15 June 2018.